Mark and his team at Main Drive Motors understand that maintaining a vehicle can be a costly business. We work with YOU and within YOUR budget to to keep YOUR vehicle fully maintained, safe and on the road. 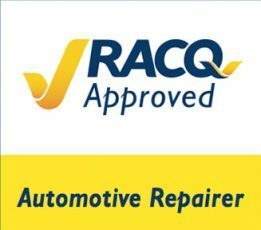 As an approved RACQ Automotive Repairer we are proud to say we are problem solvers, if you have an issue with your vehicle we will come up with the safest, most cost effective solution to suit YOU and your BUDGET. We don’t charge for things you don’t need, our waiting area doesn’t have plush leather lounges, doesn’t have a coffee machine and doesn’t have a Plasma screen! We have a small waiting area with a couple of magazines if their is a need to wait and we do guarantee you this, whether its servicing your car, engine rebuilds, brakes, exhaust systems, whatever you require we give you honest and friendly advice every time and save you money where we can. 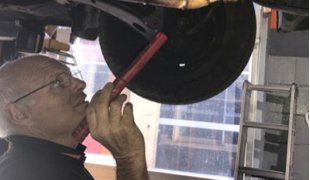 Main Drive Motors is locally owned and operated and our Queensland born an bred Certified Mechanics have over 65 years combined experience, we understand our climate and we know what it can do to vehicles and we maintain ALL vehicles accordingly.